Fleeing to Washington, D.C., Jane Doe searches not only for her kill assignment, but answers from the clandestine Coywolf project. 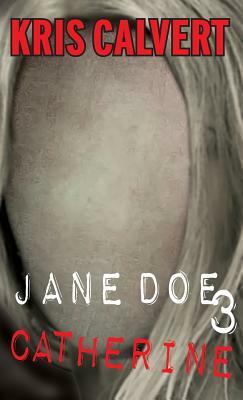 Now as the lines between who is on the right side of the truth and justice begin to blur, Jane will question who is real and what is just. Unable to trust what she knows, Jane looks to exit the program she's worked for so diligently when her focus shifts and she begins piecing together a life kept hidden from her for twenty-nine years. Matt Matthews is home to bury his godfather and join his family's billion-dollar drone empire, Maxtronix. But his past his quickly catching up with him. And so is Jane. Still tracking Three, Jane will now have to stop a planned attack on Capitol Hill while keeping up Matt Matthews and not losing sight of the NYPD counterterrorism officer Kelly Casey, whom she can't seem to shake. The final countdown has begun. For Jane. For Matt. For Three.